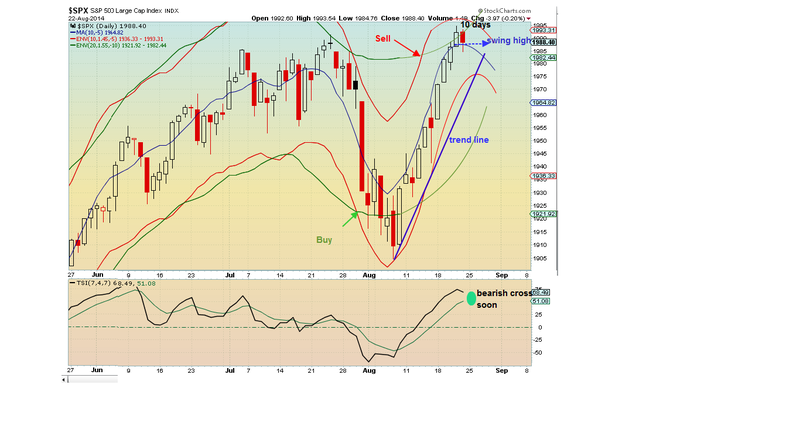 I was too cautious in my outlook as the SPX was up about twice my target. Thought it might over shoot my target and mentioned if we set new highs to consider a position in RWM. Well ^Rut still lagging to upside and no new high (ditto for the DOW). May be time to short the market (RWM) GL traders. no Confirmation high is in yet. need to see break of trend line, and MA. Also wathc TSI for cross.